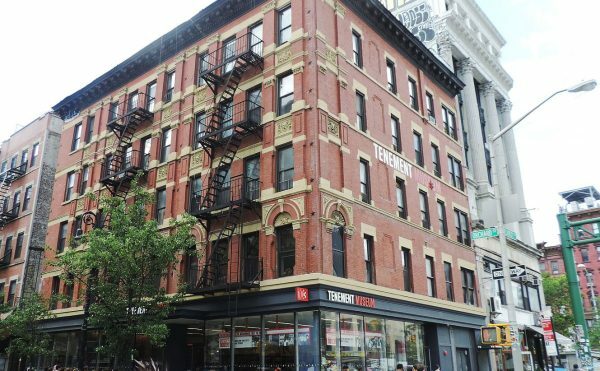 Though the National Endowment for the Arts seems under constant threat of being gutted, one city initiative is putting arts funding at the forefront of civic responsibility rather than last on the list. 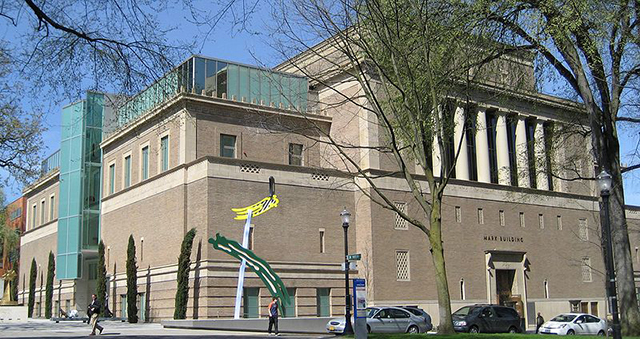 In November of last year, Portland, Oregon, passed a new annual income tax of a flat $35 fee that goes directly to supporting local arts organizations. The tax will bring in an estimated $12.2 million a year from 350,000 people, money that will go to Portland elementary schools to hire “certified arts or music education teachers” and the Regional Arts & Culture Council, which supports non-profit Portland arts organizations, explains the city’s website. The arts tax applies to everyone equally, unless you make no income or are below the poverty line. Rather than including it within the normal tax paperwork, Portland has made it possible to pay the tax online, in person, or by mail. If you pay the $35 before March 25, you won’t be sent any paper forms, but it sounds like some residents are getting confused by the flier that the city is sending out to remind Portlanders of their culture-supporting duties. “It seems the way they’re letting people know about it might be unintuitive — by sending out a separate form that may look like junk mail,” Portland musician Brandon Summers told KGW. 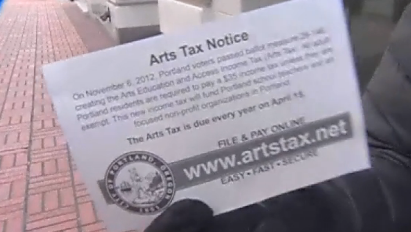 The mailing is meant to remind residents to pay online, thus saving on paper costs and redirecting more money to the arts, explained Portland Revenue Bureau’s director Thomas Lannom. Despite some controversy over the possibility that the fee constitutes a “head tax,” the arts tax has survived and is meant to be permanent. It makes for an interesting comparison to Brazil’s recent implementation of a $25-a-month stipend for workers to pay for “cultural expenses” like books, movies, and art museum tickets through a designated card. While Brazil is providing more funding for cultural consumption, however, Portland is collectively paying for supporting cultural infrastructure, stabilizing the forever shaky status of arts teachers. The hopeful part is that in both cases, governments are implementing positive legal changes that make funding arts not only possible but also necessary, posing supporting culture as an inherent element of social responsibility. That’s something we can all get behind.